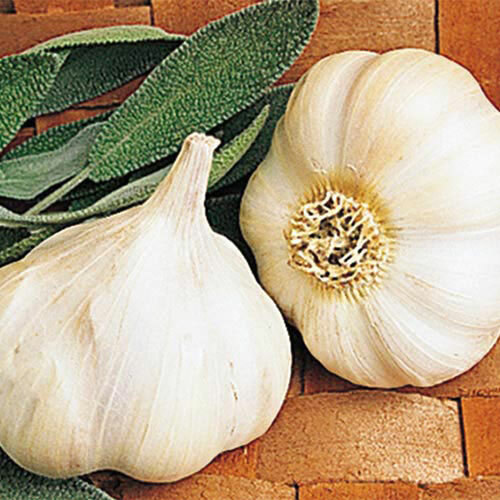 Pioneer Softneck Garlic | Gurney's Seed & Nursery Co.
An early, artichoke-type that produces very large cloves with a traditional garlic flavor. Has white wrappers and cloves. Great for braiding. Approx. 10-20 cloves per bulb. FruitA bulb has approximately 10 - 20 cloves. CommentsVery large cloves. Early, artichoke-type variety. White wrappers and cloves. Traditional garlic flavor.